Claysmore Pure Ltd. provides a full range of services including delivery of our products, walk-in self filling, and exchange for bottles. We understand that some of our customers don’t have the time or ability to pick up our product. For your convenience Claysmore Pure provides delivery of all of our products to save you time. Learn more about our products straight from the Claysmore Spring as well as all of our pricing for our products. Get in touch with us below to request a delivery. Claysmore Pure Ltd. provides spring water in store, for self filling, and for delivery. We offer 3 & 5 gallon jugs of natural spring water, reverse osmosis, and distilled. Learn more about our products and our product pricing below or contact us now for delivery. We understand that some of our customers don’t have the time or ability to pick up our product. For your convenience Claysmore Pure provides delivery of all of our products to save you time. Our family spring contains more than just the most pure natural element, it is also a source of many other products such as landscaping rocks. We would like to share this with you. If you’re looking for unique stones for your outdoor space we’d be happy to help. Contact us to learn more about what we offer. 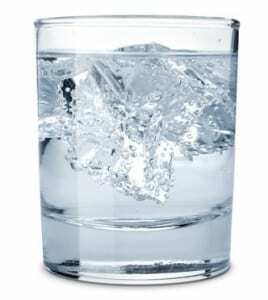 Claysmore Pure Ltd. provides ice made from our all natural spring water. We offer spring ice in bags and bricks, for delivery as well as for pickup. Learn more about our spring ice products and product prices below or for delivery. We understand that some of our customers don’t have the time or ability to pick up our product. At Claysmore Pure Ltd we are continually trying to find solutions for convenience, to be environmentally responsible and to set us apart from the common producer. We offer Biodegradable take out boxes for our ice which comes in cubed ice or in big bricks. Our idea behind this is to reduce harmful garbage left behind for wildlife if littered, And no plastic blowing around; these boxes are completely biodegradable and they seal the ice in just like a bag.